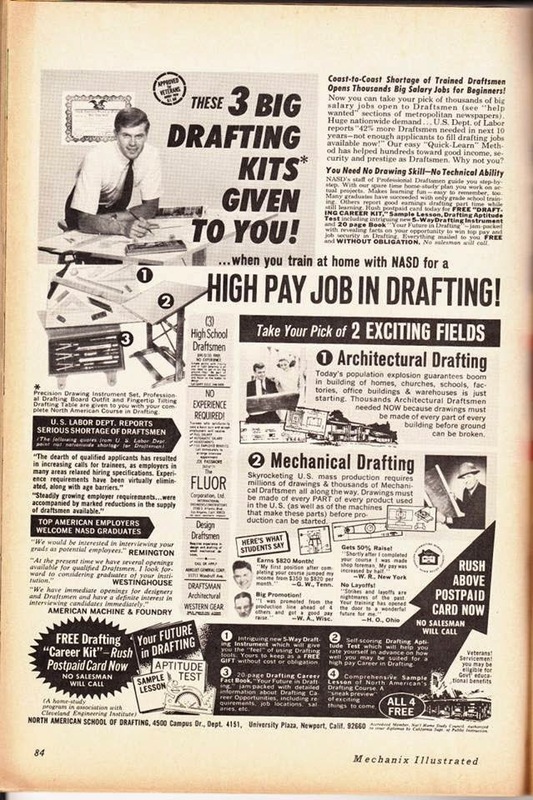 CAD-a-Blog: 14 Questions to ask when interviewing for a CAD position. What skills and experiences would make an ideal candidate? This question will tell you exactly what they are looking for. It also gives you the opportunity to sell yourself efficiently in that you won’t give them information they don’t need. Too much information may lead them to believe you are overqualified or don’t have the right set of skills. They may also mention something you didn’t realize they needed but can do. Do you have any concerns about my qualifications? This is a tuff question to ask. It may expose your shortcomings out loud and that can be difficult to handle. However, it will tell you the issues you need to address in order to get the job. It creates an opportunity for you to demonstrate why you are the person for the job and removes fears they may have of hiring you. Don’t get offended by anything they list. They may be correct in their comments. Who will I be working with? What group? What department? What role will I be filling? This question will help to eliminate some assumptions you have made about the position that may be incorrect. It will also give you an idea of the corporate structure of the company. Even small companies have corporate structures. Will you answer to one person specifically? Will you work in a group or independently? Is this a new position or am I replacing somebody? This is important to know. You may be replacing a person that was fired for poor performance. Maybe somebody retired, or moved on to a different company. Perhaps the person before you was promoted. Maybe the company has new projects and needs additional workers. This will help you to fit in better when you start. It also lets you know what the current work is. Hopefully they can continue with the current workload and keep you employed. If a new position, or additional position, is be created for you make sure to ask about the current and future expected workload. Does the company have a reputation of hiring for a project then releasing you when work runs out? If you are replacing a person that was promoted then that means there is a good chance of advancement for you at this company. You can learn a lot from this one question. What have past employees done to succeed in this position? If you are interviewing for a position that the company is creating, meaning it has never had a person perform these duties before, you may want to rephrase the question. This will give you an idea of what the company expects of you and what has worked for them. It can also create a dialog of how the company solves their issues and allow you to provide feedback on how might approach things. What are the benefits? This may seem obvious but don’t forget to ask. Get specific with the details. How much will insurance cost? When will it be available? How is vacation time determined? Is any of this negotiable? Yes negotiate with them. You don’t have to accept their offer at face value. Wheel and deal! They might not budge but they definitely won’t if you don’t ask. Will there be training? You don’t want your skill set to stagnate. You want to get better so that you will be worth more. A good employer also knows that they want employees that know what they are doing. Who wants to hire unskilled people? If they don’t offer training see if you can get them to add that as a benefit. Why should I work here and not somewhere else? This is a chance for them to sell themselves. If they can’t why would you want to work there? What will my salary be? This is where the dancing begins. Both sides are afraid to commit to a number for fear of giving away too much or not getting enough. The employer wants to pay as little as possible and you want to get paid as much as possible. This is obvious. Before you walk in to the interview determine what you want to make. There is no max so determine what you want and determine your minimum. Don’t start with the minimum because it is very rare that the employer will give you more than what you ask for. It does happen from time to time but if they feel they can get you for less they will try. Don’t ask for what you were making at your last job; go higher, at least a little bit. Make sure you feel that the pay fits the role and responsibilities. Never work for free. What is the next step in the process? Save this for last. This is the essential last question and one you should definitely ask. It shows that you’re interested in moving along in the process and invites the interviewer to tell you how many people are in the running for the position. What CAD software will I be using? This may be an obvious question but it is vital to know what tool you will be using. If you can’t use that tool you may have a very difficult time in this new job. Also ask what programs are used in the office. If you can use multiple CAD programs that the company uses then you are a very valuable candidate for a position. What version (of the CAD software) are you on? What are your update plans? Versioning in CAD is very important. Stay current and be familiar with the latest versions of your CAD software. If the company doesn’t update often then you may fall behind in your skill sets. Ask why they haven’t updated recently. If they are up to date, ask when they updated and how often. Is there company training for CAD? Does the company train its CAD users? If not ask why? Have they ever trained? Why did they stop? If they don’t train and won’t train you need to wonder why a company will hire and retain untrained workers. Why don’t they want efficiency to improve? Why don’t they value quality skills? What type of hardware will you be using? Will you be doing CAD work on a toaster? How often are workstations updated? There are many more questions that you can and probably should ask when interviewing for a CAD position. Think it through and prepare. Create a list before you go into your interview. Ask questions. It’s the only way for you to learn about this company before you decide to commit the bulk of your daily waking hours to them.